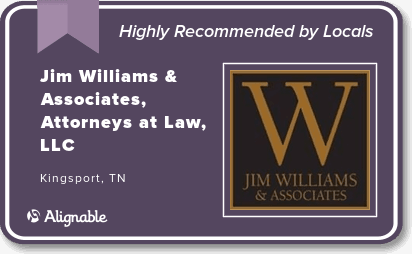 A major area of the comprehensive legal services offered by Jim Williams & Associates to our clients in Tennessee and Virginia is the area of divorce law. Divorce is a particularly sensitive area, especially where children are involved. It requires a compassionate yet professional attorney capable of clearly explaining the laws and your options during the confusing and often emotional process of negotiating and litigating a divorce action. There are many grounds for divorce and depending on the situation a divorce may be granted on no-fault or fault grounds. A no-fault divorce is one in which neither spouse officially blames the other for the breakdown of the marriage, such as irreconcilable differences. The list of grounds for a fault-based divorce may include adultery, physical cruelty, mental cruelty, abandonment and others set forth by state law. The divorce attorneys at Jim Williams & Associates have helped ease the fears of our clients while effectively and efficiently navigating the divorce court system. At Jim Williams & Associates, we are proud of our reputation among both clients and peers for our fair and creative strategies for dispute resolution in matters of divorce. In our experience, a negotiated settlement where both parties work towards an equitable resolution often provides for more flexible and creative solutions than those offered by the court, which doesn’t have to live with the end result as the parties do. In addition, there is little of the lingering resentment that often accompanies a court-imposed solution when both parties have worked towards and achieved an equitable resolution. However, we are trial lawyers representing clients in all courts in Tennessee and Virginia. We are never intimidated by the prospect of litigation, especially when it becomes necessary to achieve the legal goals of our client. A divorce or other family law dispute is difficult for all involved. You will have many questions and we will be able to provide the answers. Please CONTACT an attorney at our downtown Kingsport office for a FREE consultation and case evaluation from an experienced divorce attorney.